23-4: Nationals record at Citi Field dating to 2011 after 7-1 win over Mets. 1.01: ERA for Cubs rookie right-hander Kyle Hendricks (4-1) in five starts since his no decision debut July 10. Justin Verlander’s sore right shoulder will likely force him to miss at least one start, the latest setback for the reeling Detroit Tigers. Detroit manager Brad Ausmus is thrilled, however, the news isn’t worse. Ausmus said an MRI on Verlander’s shoulder Tuesday revealed inflammation “in a number of different areas” but no major structural damage. “It’s not a surgical injury and as of right now it doesn’t seem like he’ll have to go on the DL,” Ausmus said. While the initial prognosis is encouraging, he almost certainly won’t pitch for 10 days. Detroit, which led the A.L. Central by 7 1/2 games a month ago, fell into second place on Monday night behind streaking Kansas City. Still, Ausmus remains encouraged simply because the prognosis could have been so much worse. 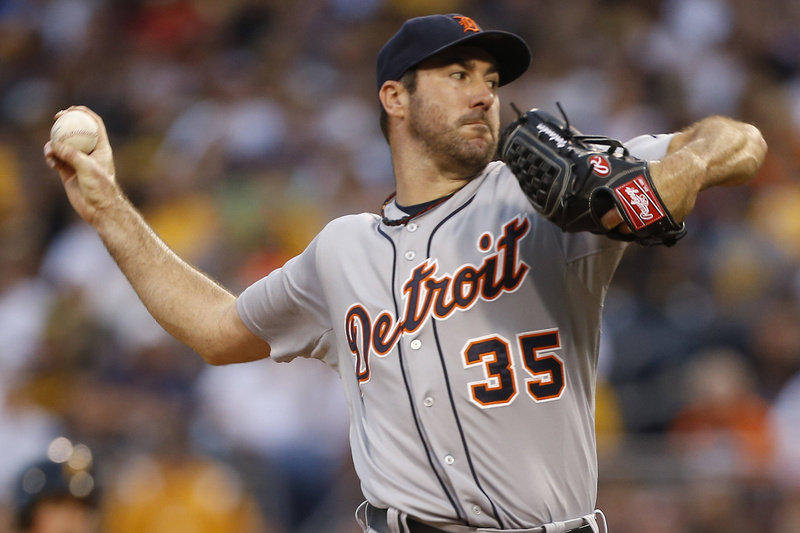 Ausmus said it’s “unlikely” Verlander would make his next start on Sunday against the Seattle Mariners. Rookie Robbie Ray would fill in on Sunday if Verlander can’t go. Orioles third baseman Manny Machado has a right knee ligament strain – unwelcome news for a team contending for a berth in the A.L. playoffs. The injury could land Machado on the 15-day disabled list, but it’s not as serious as it looked on Monday night, when the third baseman crumpled in a heap at the plate after taking an awkward swing in a game against the Yankees. Commissioner Bud Selig says his successor could be announced as soon as Thursday. … The Royals placed left-hander Scott Downs on the 15-day DL with a stiff neck. …The Mets have put right- hander Jacob deGrom on the 15-day DL because of rotator cuff tendinitis and called up righty Rafael Montero to start. … The Padres have recalled infielder Jake Goebbert from Triple-A El Paso and placed shortstop Everth Cabrera on the 15-day DL with a left hamstring strain. … Indians OF David Murphy will miss four to five weeks with a strained right oblique muscle. … Indians OF Michael Bourn, will play Sunday.